(1) This official book describes that how to register and the benefits if the test. (3) This book contains a lot of real paper questions with their answers that you can check yourself. (5) It Develops your test-taking tactics. Besides the above features of this book, it also contains CD-ROM with more than 200 questions which are entirely equivalent to three practice test. It includes an audio CD with recordings for listening and speaking items too. (1) Contents are as per expectations and probably the best book to know about the exam completely. The book has quite interesting tips and tricks about the PTE exam. (2) This book comes with two CDs and a CD ROM that has three practice tests and the second is an audio CD for listening and speaking practice. It develops the entire exam process in detail. So all in all this is an ideal book for PTE Academic Exam where every part of the test is well explained with practice items. (3) If you can practice the sample tests and feel comfortable and confident, you are assured of good results. (1) Additionally, practice tests are needed because this exam requires a lot of practice before the exam which it does not contains. (2) This book will not give you hacks or tips and tricks for the exam neither let you know about the test approaches. (3) The preparation of this test is incomplete without the audio so demand it from where you have purchased it. (4) This book is not for learning English, but a very good guide on how to score points by getting a good understanding of expectations listed on each type of question. 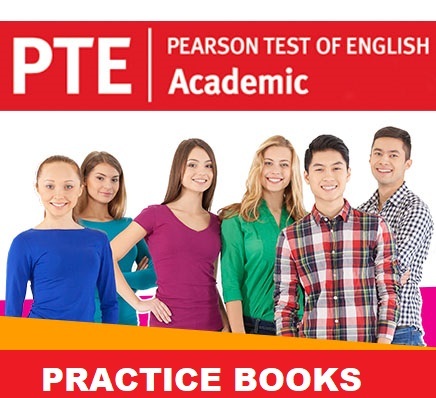 PTE Academic Practice Tests Plus’ contains four new practice tests which are written by PTE Academic test writers. This book introduces four complete practice tests with genuine test questions by PTE Academic test writers. This book is packed with tips, real student response and a score guide. It is an essential resource for anyone preparing for PTE Academic. So with the help of this book you can get the complete guidance and tip which will help you to boost-up your preparation. It has Audio CD for the aspirant’s convenience for the better practice. This book is quite helpful. This ‘PTE Academic Practice Work Book Plus’ gives a good idea of Pearson Test of English format. This book contains the CD which is also very useful for practice. It has answer key which is also of vital importance for the aspirants. So overall this is a very good book and must buy for all PTE aspirants. This will definitely help you to focus on areas of importance and appropriate material to achieve a better score. The Pearson Test of English Expert coursebook for B1 supports students gives them step-by-step approach to speaking and writing. This book includes various tasks to prepare students for the exam from the very beginning. The vocabulary sections based on the Academic Collocations and Wordlists such as ACL and AWL. This PTE book contains an expert series which provides rigorous exam training for high-achieving students while continuing to develop language awareness and communication skills. This intensive course for the Pearson Test of English Academic (PTE) exam consists of a coursebook. Though the book is good, there is no Audio or Video CD while these are very important for developing the communication skills regarding this exam. There is a huge amount of syllabus given which is not expected to the exam level up-to-the-mark and quality of tips, not as expected level. “Wiley’s PTE Advantage for Academic Module” book is structured as per the needs of all the Pearson Test of English Academic aspirants. This book is available in India and outside of India as well. This well-structured book’s approach ensures that the aspirants score well beyond their own expectations. The contents included in this book are enriched with tips, strategies regarding the PTE Academic exam which is of vital importance. In this book, there are various examples, practice exercises, answers and explanations given which increases the value of this book. Willey’s PTE Advantage book first provides examination related information which is followed by four chapters corresponding to different sections of the test such as Reading and Listening, Speaking & Writing. Although the Speaking & Writing section represents a single section, it is dealt in the form of two separate chapters for better clarity and comprehension. (1) This book contains a good level practice question set with lots of extra exercises which is much needed to the aspirants. (2) In this book, there is a scratch card given for accessing ‘Free online PTE (Academic Test)’ and also three comprehensive mock tests are given with their answer keys & solutions. (1) The book is not so appropriate to buy because the key and audio & video files are not available. (2) Audio CD is missing. Not worth to buy without CD. (3) This book is not providing the answer codes/models for the tasks contained in the book which any good learning resource should have. So it can reduce the level of your answers. This book is fully packed with an Audio CD which is just aimed to boost-up the preparation of the aspirant. PTE Academic Testbuilder is a brand new title in this popular series of “Tests that Teach”, which is specially designed to improve student’s exam performance and increase language proficiency for PTE Test. It provides four complete practice tests for the entirely computer-based ‘Pearson Test of English Academic Exam’, providing guided analysis of answers and further practice across all four language skills. The book is good for the aspirants as it provides the audio CD and it contains a lot of practice sets & enough material to boost up and guide the preparation of the aspirants.